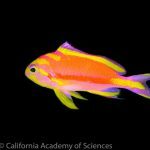 The gorgeous Sacura speciosa, collected by Brian D. Greene and up on display at the California Academy of Sciences. Photo credit: Lemon TYK. Another view of this gorgeous fish. Photo credit: Lemon TYK. In the next series of posts, I’ll be sharing some pictures that i’ve had the opportunity to take during my short stay there. We’ll start of with the biggest superstar of the lot – Sacura speciosa. The genus Sacura is represented by four species – margaritacea, parva, speciosa and boulengeri. All very deepwater, except S. margaritacea which is mostly subtropical. 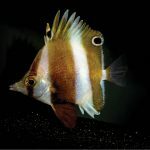 The other three are mostly only seen from trawl or deep water line fishing. S. speciosa is also the most spectacularly colored of the lot, and is also the rarest. It’s latin name speciosa means beautiful. 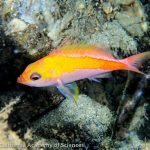 While S. boulengeri and S. parva are occasionally caught in fishing trawls (where they end up in local fish markets for consumption), S. speciosa is rarely seen by humans. 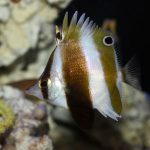 It has, shockingly, been offered a to the aquarium trade a handful of times on scathingly rare occasions. These outlier individuals were mostly caught on long-line fishing, and usually succumb to decompression related maladies either almost immediately post collection, or in the days to come. This specimen at the academy is one of a pair collected in the Philippines, and the only one on display anywhere in the world now. 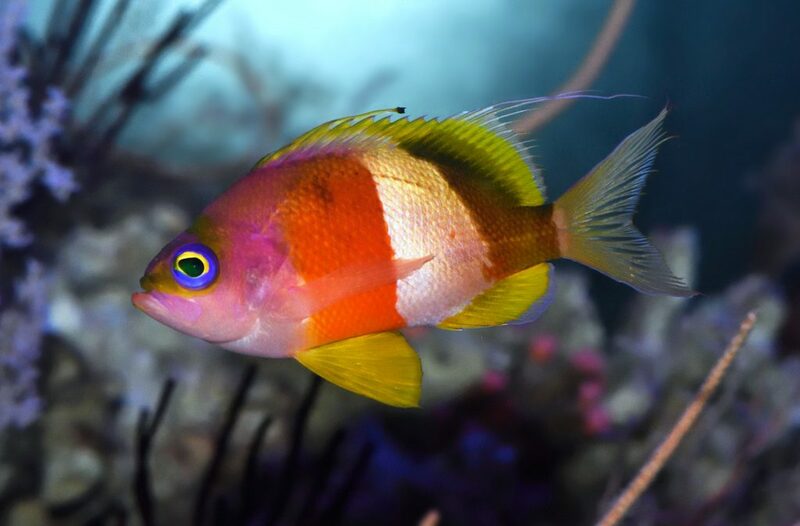 Tourists at the academy refer to this fish as the rainbow fish – and for good reason. 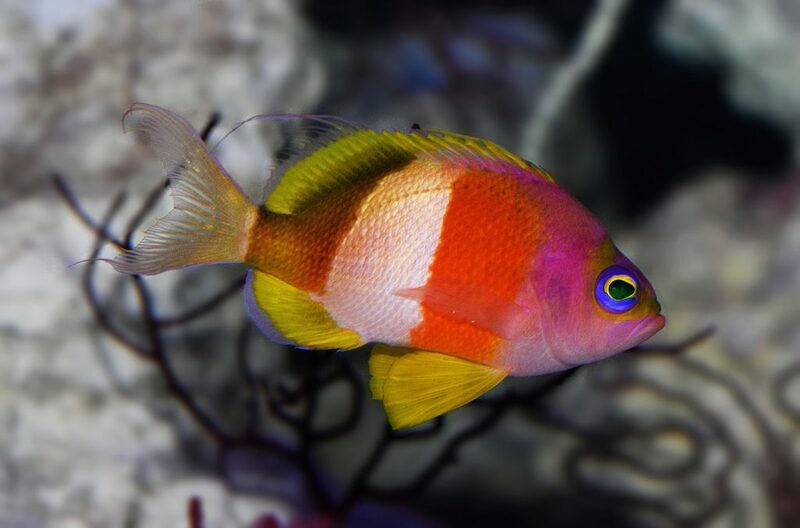 Numerous other species share their new twilight zone exhibit with this Sacura, and while not all of them are so nonsensically colored, all of them are special and beautiful in their own way. I’ll be sharing some photos of them in the coming posts, so keep your fins peeled.